Do you like smelling like a fruit? I'm normally a 'lime man' on my summer holidays, but I'll indulge in all the classic cologne scents - lemon, mandarin, bergamot, neroli. 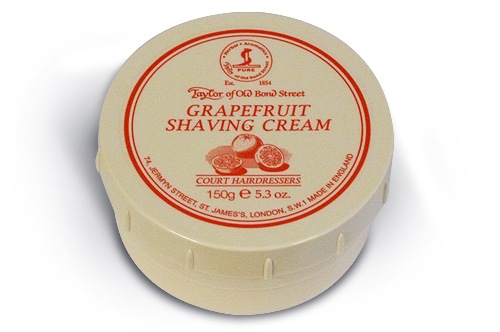 If you're of a citrussy persuasion, you can include grapefruit in your fruit bowl of grooming products with the new shaving cream from Taylor of Old Bond Street. Made in England, Grapefruit Shaving Cream has the energising scent of grapefruit and orange. Taylor's of Old Bond Street was established in 1854 and their shop is located on one of our favourite London streets: Jermyn Street, St James's. In terms of scent, you're on pretty safe ground with the citrus fruits. But some fruits are clearly beyond the pale. Would you want to smell like a banana?